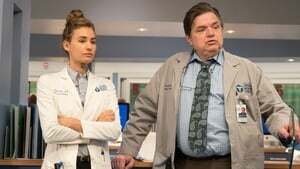 Chicago Med 2. Sezon 6. Bölüm (Türkçe Dublaj) izle – diziyo..
Dr. Manning tends to a young cancer patient and struggles to inform the parents of her dire condition. Elsewhere, Dr. Reese gets contacted by Danny, the troubled young man, and turns to Dr. Charles and Det. Lindsay for help in resolving a difficult situation. Goodwin and Maggie do their best to clear the logjam in the hospital and Dr. Rhodes fine-tunes his instincts after both Dr. Latham and Dr. Halstead pick up on things he doesn’t. Meanwhile, a teenage science geek and her friends impress Dr. Choi and Natalie with their bio-engineering lab.